West Virginia pre-employment screening is essential for companies looking to follow safe hiring practices. Employers need to be thorough and get the most comprehensive screening solution possible in this state. 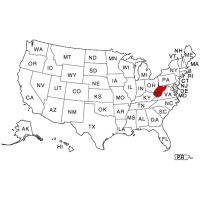 In West Virginia, it is very important to obtain criminal history directly from the counties that someone has resided in. Intelifi can provide this in every county in the state, along with a comprehensive national database search. This means you will leave no stone unturned, and be sure you are catching any criminal record that is out there on a job applicant. We have court researchers going to every county in the state on a daily basis to retrieve records. Criminal record checks in the state of West Virginia will provide you with all Felony and Misdemeanor convictions. By adding in county criminal checks, you will receive the most current and complete case information on every individual. Contact Intelifi to get started with our pre-employment background screening in the state of West Virginia.